St Joseph’s Parish began with the first Mass being said on Sunday 16th August 1908 in the temporary church which is now the parish hall. The foundation stone of the church was laid in August 1909 by Dr. Whiteside Bishop of Liverpool. The church was erected in memory of Monsignor James Taylor and his brother Fr Roger who had served at the adjacent parish of St Peter’s Lytham. Their legacy paid for the new church which cost £12,000. The magnificent church was designed by the architects Pugin of London and Liverpool and stone quarried from Yorkshire was used to build the hall, presbytery and the church, which was officially opened in September 1914. 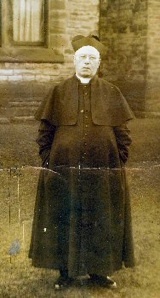 The first parish priest was Fr Robert Formby who served the parish for thirty-one years until his death in July 1945. He installed the beautiful stained-glass window behind the altar and the statues along the two side aisles; male saints on one side and female on the other. His successor was Fr Fred Gillett, a Lytham born priest who served the parish until he retired in 1953. For a time he was assisted by his twin brother Fr Harry who on retirement was chaplain at Stella Matutina Convent. Canon Arthur Gracey was the third Parish priest and because he suffered from ill-health the parish had its only official curates during this time. Fr Michael Timon assisted for a short time followed by Fr Leo Lafferty, who did much work to involve families in the parish. Canon Gracey died in June 1957 and was succeeded by Fr (later Canon) Arthur Fleming who like Fr Formby was parish priest for thirty-one years until his retirement in 1989. It was Father Fleming who was responsible for the restoration of the magnificent Willis organ which is almost identical to the Lady Chapel organ in Liverpool Anglican Cathedral. He arranged for many repairs to the building including the under-pinning of the bell tower, thus enabling the bells to be rung again. 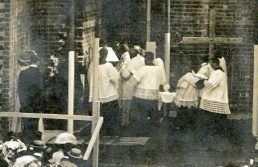 Fifty years after the opening of the church it was consecrated by Bishop Foley in September 1964. Fr Michael Turner was appointed Parish priest in February 1989 and one of his first acts was to arrange a parish Mission to reinforce the ethos of a caring community in the parish. He re-ordered the Sanctuary to allow for the reforms of Vatican II, which had been slow to reach the parish. This included moving the Baptismal font to the left of the altar where he also installed the large painting of the remains of St Cuthbert carried by monks at Lytham. This had previously hung at Upholland College. 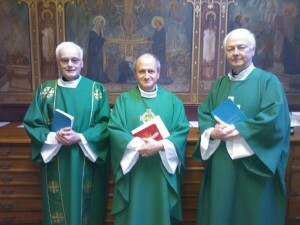 Fr Michael invited two retired Mill Hill Missionaries, Revv Bill Dowds and Joe Geoghegan to live in the presbytery and share in the work of the parish. Unfortunately his hard work of re-vitalising the parish was cut short by his premature death in September 1998. The sixth parish priest Fr Aidan Turner, appointed in February 1999, continued the good work begun by Fr Michael and he extended the hall to provide additional facilities. He established a Faith and Light group to work with families with learning difficulties and he set up a Parish Development Group to look at the spiritual priorities of the parish. During Fr Aidan’s tenure, the organ was damaged by fire. Fr Aiden oversaw a further major restoration of the organ after this unfortunate incident. When he moved to nearby Our Lady Star of the Sea, St Annes in August 2004 he was replaced by Fr Harry Holden. During Fr Harry’s time here he established a Parish Council and a Parish Administration Team. We celebrated our parish centenary with a year of special events and, led by Fr Harry, we reached out to others less fortunate by helping to develop a church community in Burkina Faso, the second poorest country in the world. A target of raising £13,000, the same amount that had been given to start our parish one-hundred years before, was surpassed and support for the project continues. This is an expression of gratitude for our heritage and our mission of outreach for the future. 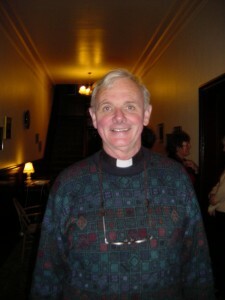 Fr Harry often suffered with his health and retired in April 2010. 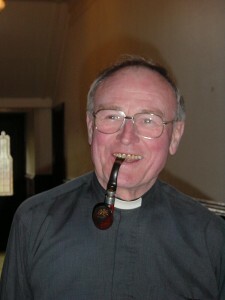 His successor was Fr John Winstanley who had previously worked for six years as Chaplain at Victoria Hospital Blackpool. Fr John was a wonderfull Parish Priest who was extremly keen to highlight all the gifts that the Parish had to offer and encouraged a pastoral approach throughout the Parish. 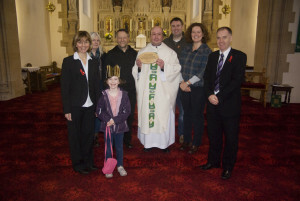 Fr John has since been appointed Parish Priest at both St Kentigern’s and Christ the King Parishes in Blackpool. 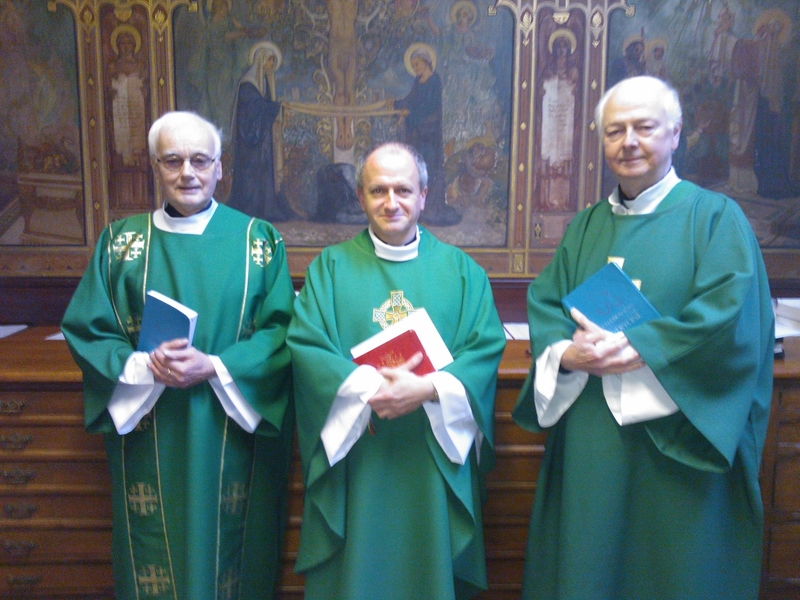 In September 2013, Fr David Burns was appointed Parish Priest. Fr Burns lead the linking of two parishes St Joseph’s in Ansdell and St. Peters in Lytham in January 2014.